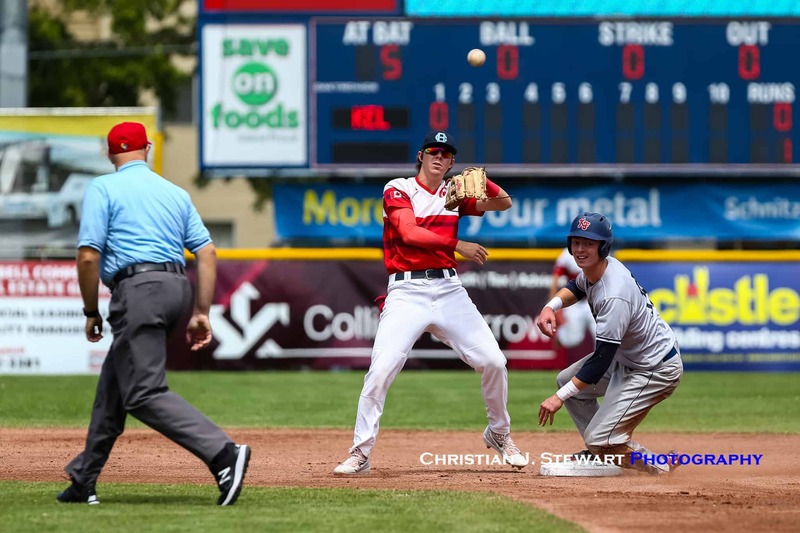 July 1, 2018, Victoria, BC – A Jake Fisher RBI single in the eighth inning was enough to vault the Kelowna Falcons (14-10), who outhit the Victoria HarbourCats (11-13) 18 to 3, to a 6-3 Canada Day matinee victory Sunday afternoon at Wilson’s Group Stadium at Royal Athletic Park in Victoria. 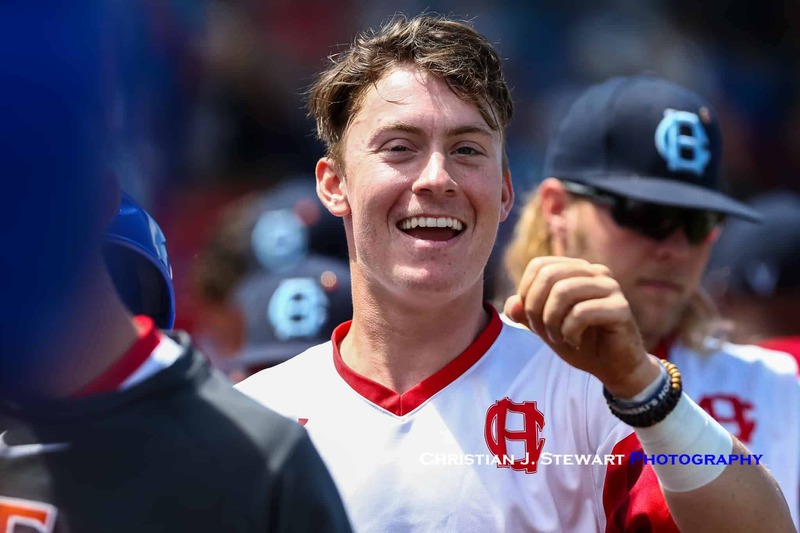 The win overcame a quick start by the HarbourCats that saw newcomer Blake Wagenseller, who just came to Vancouver Island from Cal-Poly University, leadoff the HarbourCats half of the first inning with a home run over the left-centre field fence. 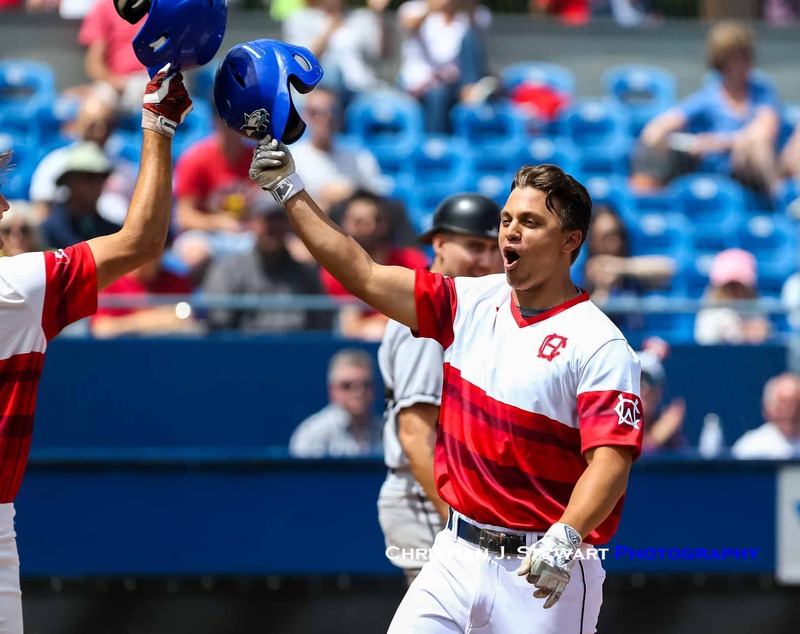 Wagenseller’s home run came at the expense of his Cal-Poly teammate, Andrew Alvarez, who got the nod for Brian Donohue’s Falcons to start the Canada Day matinee, and would hold the HarbourCats to two hits and only three runs in 5 1/3 solid innings on the mound. The HarbourCats would extend their lead when Jack Smith started the second with a single and Michael Malinchak advanced to first with a hit by a pitch to put two men on. After an Alvarez wild pitch that moved both runners into scoring position, Harrison Spohn collected his fifth RBI on the season with a sacrifice fly to double the HarbourCat lead to two. Victoria starter Tyler Hilton began the game by yielding five hits in the first three innings, but the righty out of Mesa Community College was able to escape jams in the second and third innings unscathed. Hilton loaded the bases in both frames, but was able to get solid fielding from Smith at third at Spohn at shortstop to keep the Falcons scoreless. Cade Brown added to the HarbourCat lead in the bottom half of the third off Alvarez’s second wild pitch of the to make it a 3-0 game. 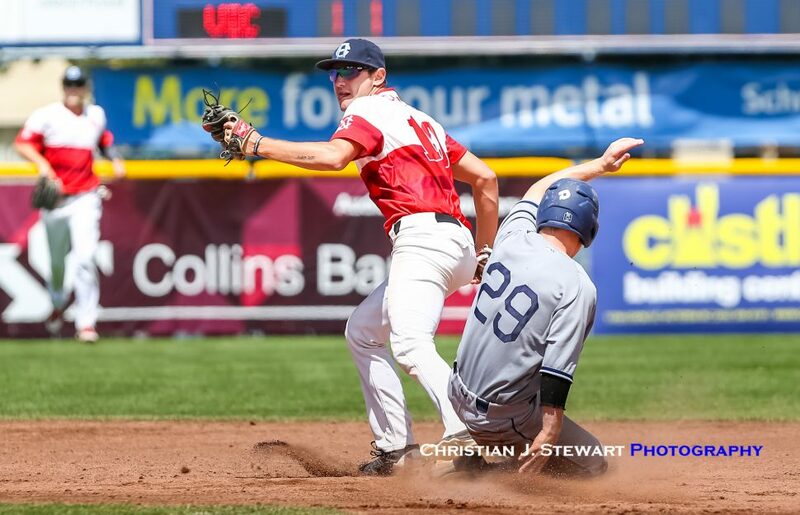 Despite significantly outhitting the HarbourCats in the game, the Falcons wouldn’t capitalize until the fourth inning ending Hilton’s string of good luck. 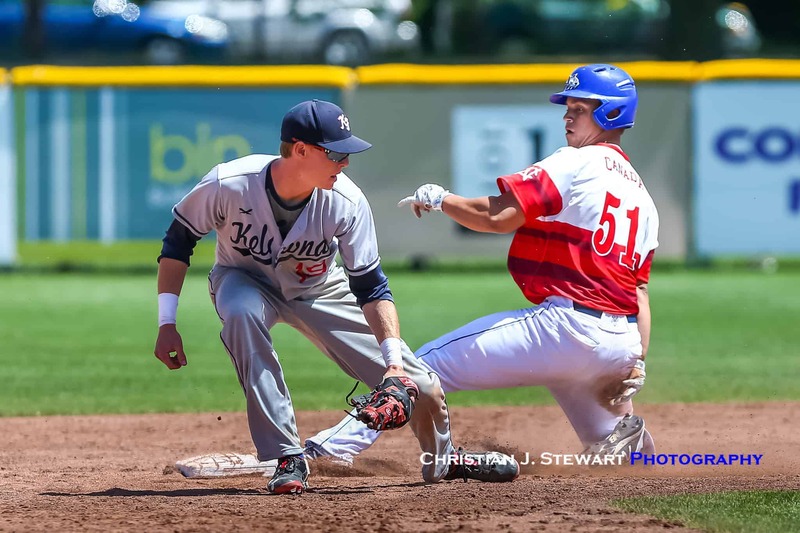 Kelowna chased Hilton in the frame with two doubles and a single, and later plated a run off reliever Carter Loewen to climb within two runs. Immediately after ending the HarbourCat shutout, Grant Suponchick used the blustery conditions to his advantage by smacking his first home run of the season over the left field wall to tie the game at three. The game remained deadlocked at 3-3 until the top half of the eighth, when the Falcons took their first lead of the afternoon with Fisher’s second hit of the night to give the visitors a 4-3 advantage. Kelowna plated another run in the frame, courtesy of a Matt Voelzke sac-fly — which was also the infielders 6th RBI of the series. Trent Tinglestad added a run for insurance in the ninth, with a line-drive solo homer to make it a six unanswered runs for Kelowna, and reliever Cal Hehnke would close out the HarbourCats in the ninth to give the Falcons their 14th win on the season. With the Bellingham Bells winning last night in Yakima Valley, both the HarbourCats and Falcons were eliminated from the First Half postseason race, as Bells claimed their WCL leading 17th victory and North Division First Half Pennant title. 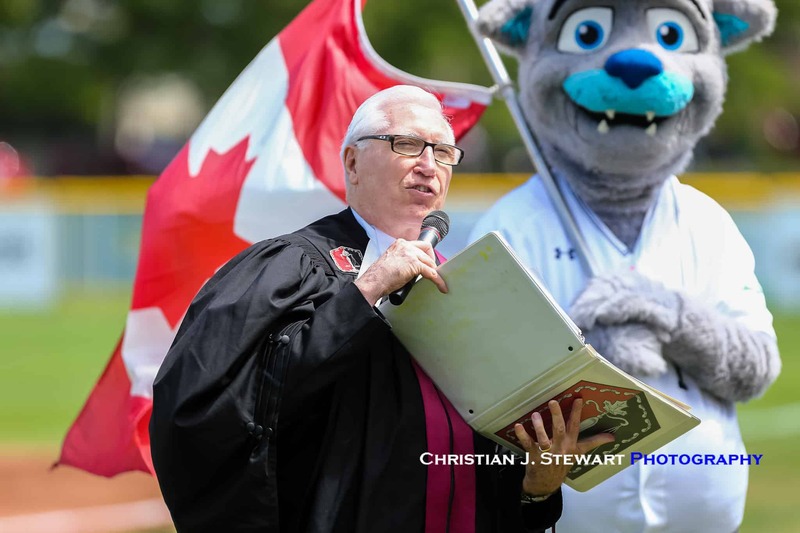 The HarbourCats will hop on the bus to end the first half of the season against the Bells at Joe Martin Field in Bellingham. After that series concludes on July 4 everyone in the league will reset their record at 0-0, and vie for the Second Half Pennant and a postseason spot in the back half of 54-game season schedule. The HarbourCats return home on Thursday July 5th and 6th to face the Highline Bears, a summer collegiate team from the Seattle Area. Game times both nights are 6:35 pm.